According to defensive line coach John Parrella, sophomore tackle Mick Stoltenberg is almost 100 percent after recovering from arthroscopic surgery. Stoltenberg missed week two against Wyoming but has played limited snaps off the bench in the last two games. Defensive coordinator Mark Banker admitted that they probably rushed Stoltenberg back a bit. He underwent the surgery on Sept. 9, returned to practice on Sept. 15 and played against Oregon on Sept. 17. Stoltenberg said two weeks is probably the usual recovery time for a knee scope, but he was back in six days. After working so hard to earn the starting job at defensive tackle next to senior Kevin Maurice, Stoltenberg was understandably frustrated when he had to miss time after just one game. However, two previous serious injuries have given the redshirt sophomore from Gretna a unique perspective. Without Stoltenberg, redshirt freshman Carlos Davis has filled in and the Huskers have barely missed a beat. Banker said he was especially impressed with what he saw from Davis in his first road game at Northwestern last weekend. Despite playing the same position, Davis is a different kind of player than either Maurice or Stoltenberg and gives Parrella and Banker more tools to use at the point of attack. After the win against Oregon in week three, the coaches expressed a desire to rotate more on the defensive line to keep the team’s top playmakers fresh for the stretch run, and they did that at Northwestern. 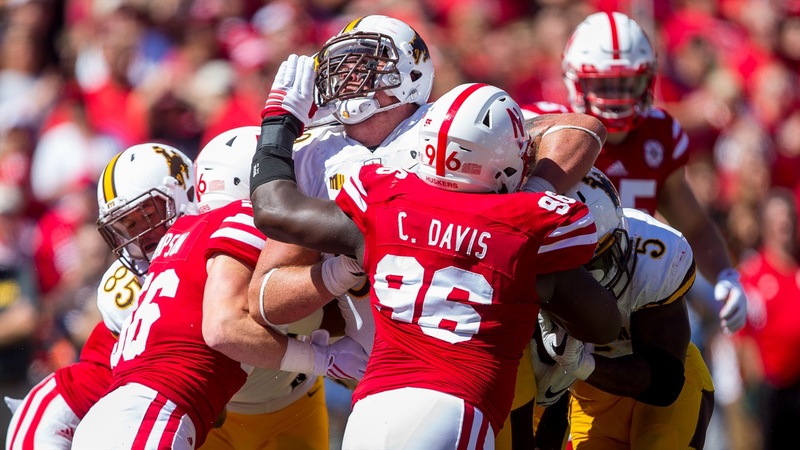 Davis’ emergence and Stoltenberg’s recovery makes rotating all easier for the Nebraska coaches, and what looked like perhaps the biggest question on the team heading into the season – the defensive line – is quickly becoming a position of strength.